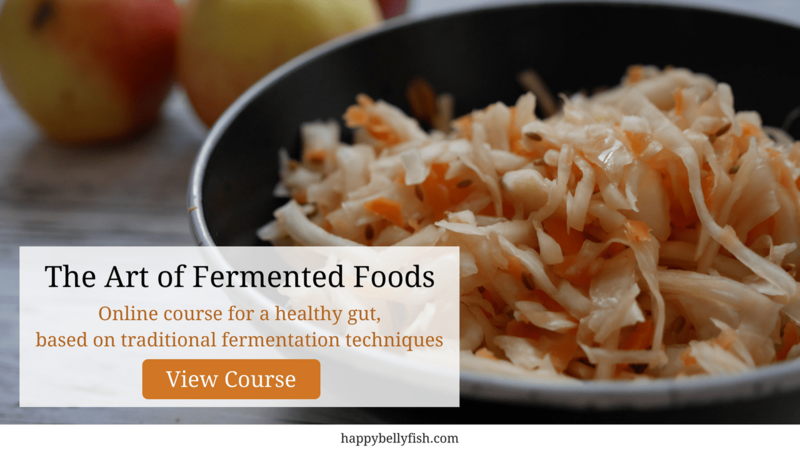 Russia has a rich tradition of pickling – no wonder, the preserving techniques in a country with so many months of winter were simply necessary. This pickled cucumber recipe is a classic, and when the cucumber season in Russia starts, entire kitchens transform into pickling factories! Not all the recipes are meant to preserve vegetables for months though. Russians developed such a passion for salty foods, that many variations were developed to foremost satisfy the craving. This easy cucumber pickle recipe can be used in two cases: to preserve the cucumbers (you need to be comfortable with canning techniques), or just to enjoy an irresistible taste of tangy pickled cucumbers, which will stay in the fridge up to 1 month without canning. This recipe is so quick and easy, that there is no reason not to try it, when first fresh young cucumbers appear in the market! For your convenience we created a short video – see it below. Step 1. Wash cucumbers and soak them for about 30 mins in cold water. Step 2 . Prepare garlic: peel it and cut it into chunks. 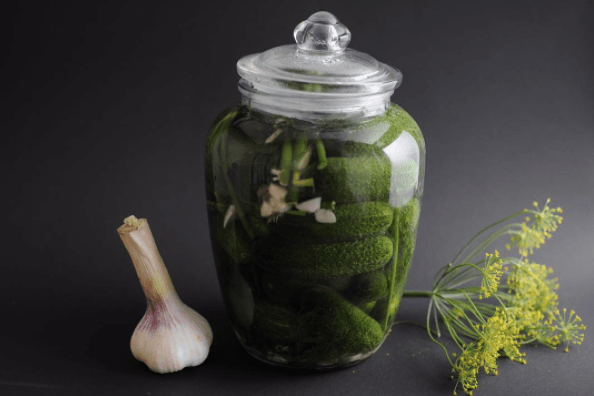 Prepare dill flower and stems: wash them and cut to fit into the jar if necessary. Step 3. Start filling up the jar by putting a layer of garlic, then a layer of dill, and a layer of cucumbers. Repeat the layers until the jar is full. Step 4. Ina a big pot bring water to boil together with the bay leaf. When it starts to boil, add pepper, coriander seeds and then salt. Let it boil for 2 more minutes. Step 5. Pour the hot water into the jar and seal the jar. Your pickled cucumbers will be ready in 3 days!